So here’s what I came up with, despite that fact that my bartending experience is limited. (This is an understatement. I only have a 70% success rate working a bottle opener, let alone preparing actual drinks.) I was going to call this a “smores martini,” but I think a martini has to have vermouth…? Whatever. 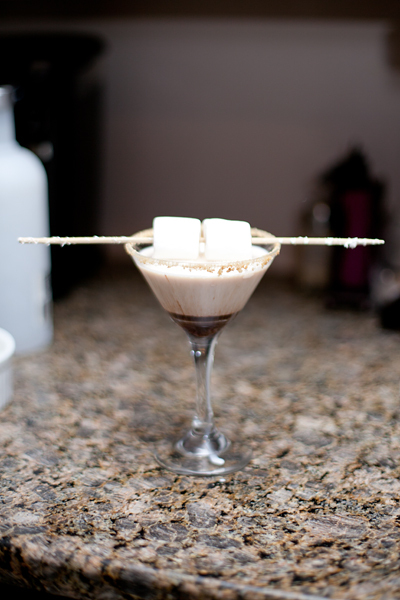 It’s a delicious smores-inspired beverage served in a martini glass. 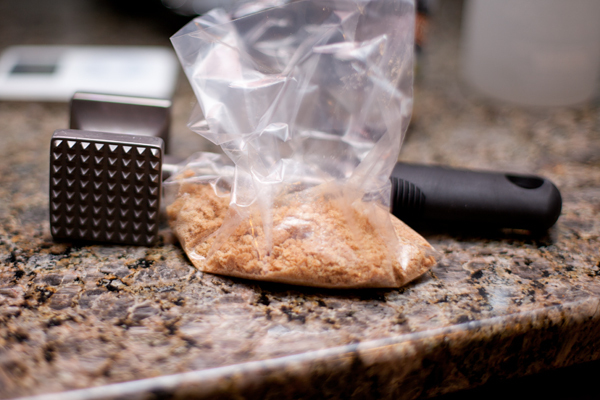 Obliterate the graham crackers. Rim the glass with the cracker crumbs. You can use milk or icing to make it stick. 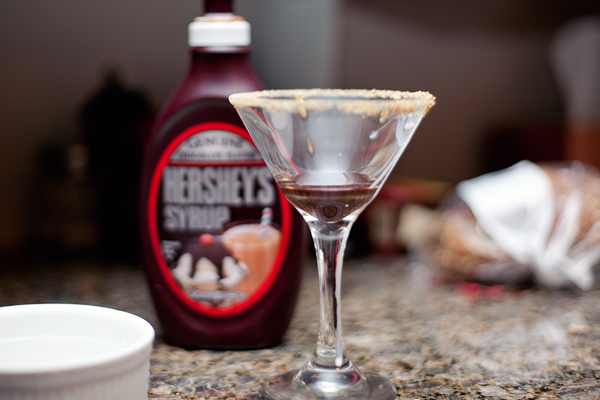 Squeeze some chocolate syrup into the bottom of the glass. Mix the beverage-y stuff in a shaker (or in your gym water bottle, whatevs) and pour into a martini glass. 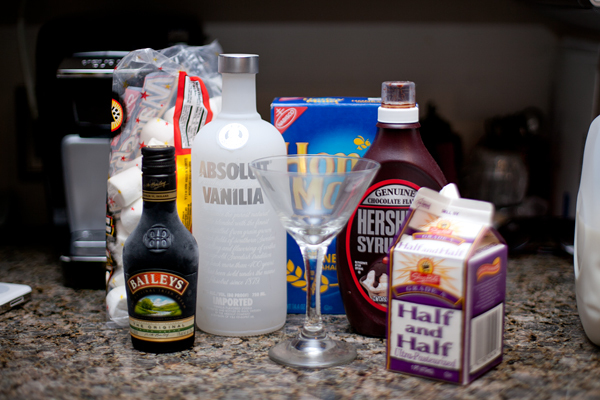 Dress it up nice with some marshmallows on a skewer et voila*, you have a smores martini that’s not really a martini. * No idea if I used that correctly.